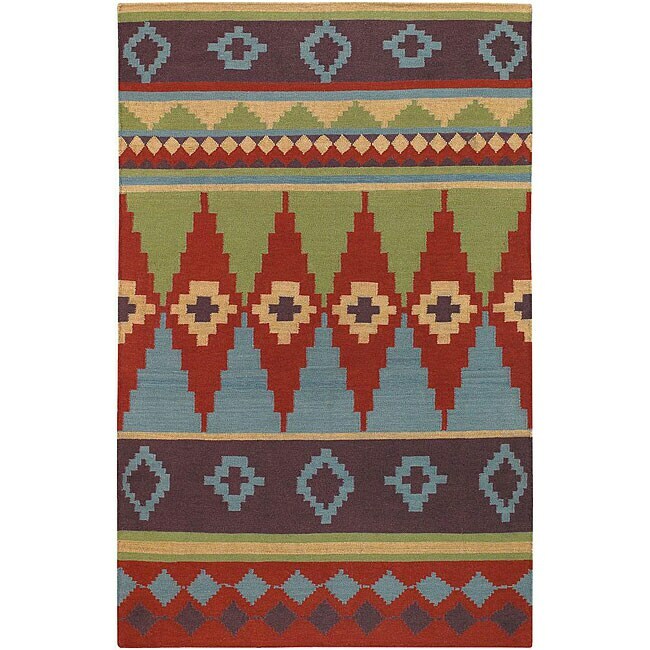 Introduce style into your home decor with this Kaalein flat-weave rug. 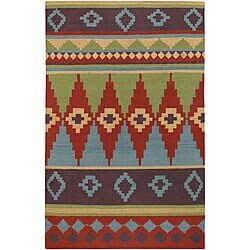 The multicolor area rug is made of 100-percent hand-woven, imported wool. It is highlighted by shades of red, blue, green and brown. Dimensions 5 ft. x 7 ft. 6 in.